The Agents of S.H.I.E.L.D. 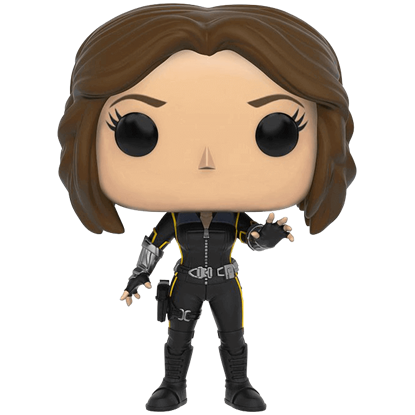 Agent Daisy Johnson POP Bobblehead portrays a superhero with the ability to generate earthquakes. This former hacktivist and field agent has been given a new title inspired by her new superpowers, Quake. 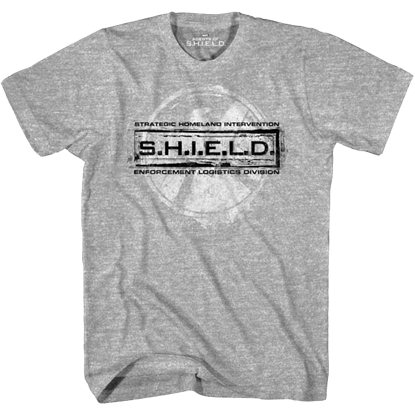 This comfortable grey tee allows comic book, movie, and TV fans to show off which government agency is by far their favorite! The Grey Agents of S.H.I.E.L.D. 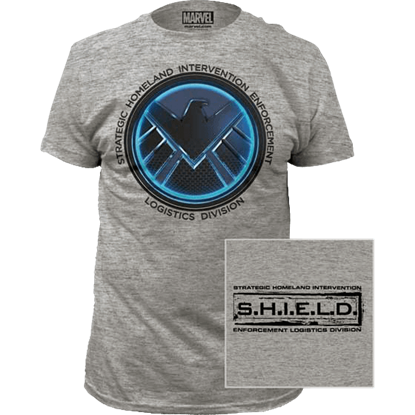 T-Shirt is emblazoned with the SHIELD acronym, as well as its definition. It is not a given that super abilities be harnessed for the good. Your cunning soul belongs with a covert organization devoted to world denomination. 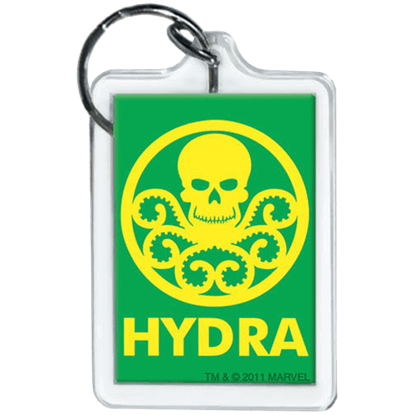 The true villain will enjoy the symbol displayed on the Hydra Emblem Keychain. Designed with the icon of the fictional terrorist group Hydra centrally located upon the chest of a black shirt, the Hydra Logo Black T-Shirt is an excellent purchase for those Marvel readers who prefer the plots of the bad guys. Based off of a mythical beast, Hydra is a sinister terrorist group in the MCU and Marvel comic books that poses a great threat to the Avengers. With this Hydra Logo Keychain, you can display their logo in a fun and unique way! Agent Peggy Carter is not just the almost-love interest of Captain America! 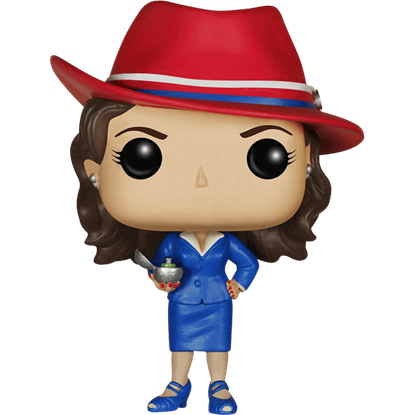 Based on the likeness of actress Hayley Atwell, the Marvel Agent Carter POP Figure depicts the savvy, determined agent in her signature period outfit. Amidst the elite team of a covert government agency, it is certain that a spy lurks somewhere. It is often hard to discover where true loyalty lies. 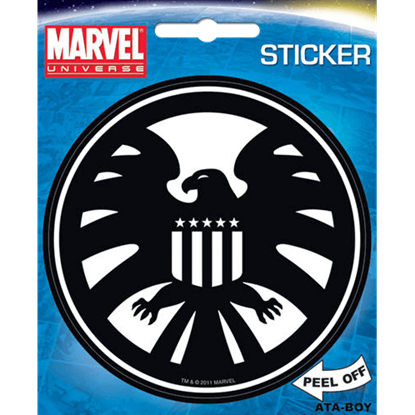 Display your sincere allegiance with the Marvel Agents of S.H.I.E.L.D. Keychain. While it might be a bit clandestine, not all of SHIELDs activities need to be secretive. This S.H.I.E.L.D. 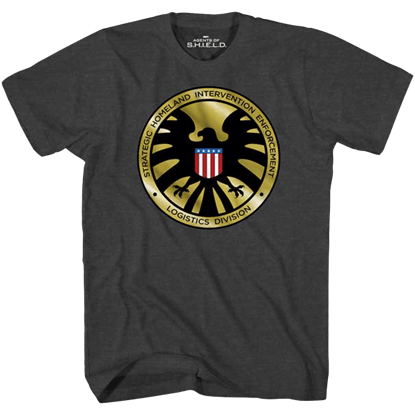 Agent Badge T-Shirt is a bold declaration, one that proudly shows off the SHIELD logo as well as the eagle, its main symbol. Spies harboring lethal secrets, scientists constructing dreadful inventions, villains seeking world destruction, these rare perils are common to the select few. 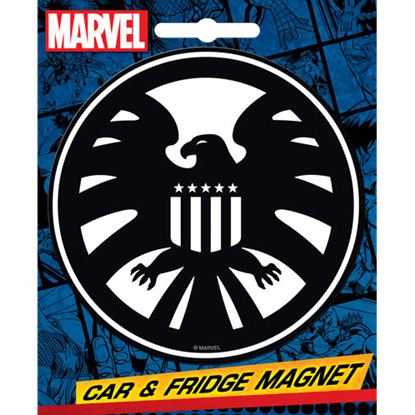 Honor our special heroes with the Agents of S.H.I.E.L.D. Logo Magnet. Another dangerous plot threatens not only the United States, but also the entire world. Gather our trusted agents and let us quickly divert this catastrophe. The S.H.I.E.L.D. Emblem Sticker bares the logo of these fearless heroes. 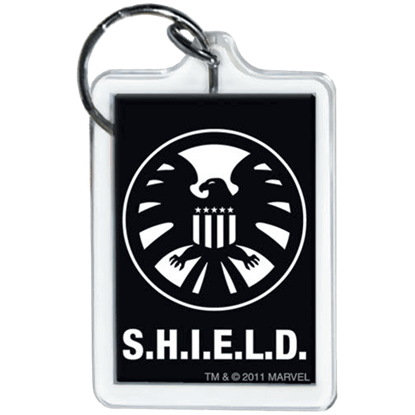 The Strategic Homeland Intervention, Enforcement and Logistics Division, better known as SHIELD, includes such favorite characters as Nick Fury, Phil Coulson, and Dum Dum Dugan. 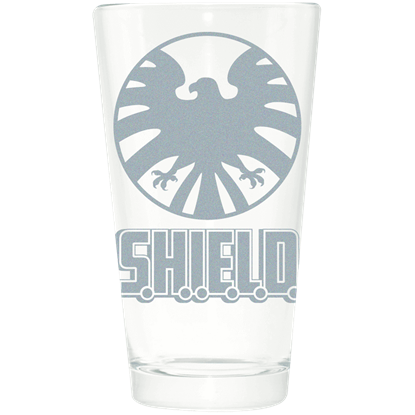 This SHIELD Etched Pint Glass makes a fantastic gift.